It doesn’t matter whether your business is located in Anaheim, Newport Beach, Lake Forest, or anywhere in Orange County, CA, if your business has employees in fields as diverse as the Retail or Wholesale Sector, the Construction and Trades Industry, Consulting Sector, or the Professional Area, to name a few of the many businesses that call Orange County, CA home, then it is mandated by state law that your company carry Orange County, CA Workers Compensation Insurance for its employees. The purpose of worker’s compensation insurance is to provide coverage for your company’s employees medical expenses and some portion of lost wages should they become injured while on the job, which is not covered by your CA general liability policy. The requirement to purchase worker’s compensation for one’s company is mandatory in most states. The definition of worker’s compensation insurance is a form of state-regulated, no-fault liability insurance which will cover an employee’s medical expenses, lost wages, rehabilitation services, and death resulting from a work-related injury or illness. If one of your company’s employees is hurt on the job, regardless of whose fault it is, that employee is eligible for worker’s compensation benefits. When an illness or injury occurs in the performance of their job, conducting their employer’s business, employees are entitled to receive worker’s compensation benefits. Another benefit of this type of coverage is that it protects an employer from being sued by an injured worker in most cases. One thing that all employers should be aware of is that each state has their own set of rules regarding worker’s compensation, so if you have employees in different states, it’s best to inform your broker so you will have the proper coverage for your employees. When discussing options with potential or current clients in regards to worker’s comp coverage, it becomes clear that this type of Orange County business insurance coverage is not what they would like to spend any time discussing, but it is important initially to get the proper coverage to prevent unwelcome surprises down the road. Once we present the client with the quote, complete with all the codes the employer will require for the coming year, the record-keeping that will be required of them, along with the time element, many employers just look at us and inform us that it’s just easier for them to 1099 their employees, so they won’t be required to carry any Orange County, CA worker’s comp insurance at all. At this point, we inform the client, it is just not that easy, since carriers are really cracking down on what constitutes an independent contractor these days. All Worker’s Comp carriers have very strict guidelines on what constitutes an independent contractor. 1) They have their own tools, and they can hire, supervise, and pay assistants. 2) Their schedule is their own; they decide the timeline to complete the project. 3) The work they are doing for you is the same as they perform for others. 4) With every project, there is a risk of making money or losing money. 5) They have a business license. 1) Their relationship is one that is continuous with the employer. 2) They can quit at any point and will not face any liability for doing so. 3) Their schedule is set about where, how, and when they go to work. 4) All their materials and tools are supplied by the employer. They just show up. Now, this is only a guideline, and each worker’s comp carrier will have their own rules with regard to how independent contractors are classified. We advise that your company contact the carrier and request a clear set of guidelines from them regarding the use of independent contractors, so your company will not have any surprises when you receive your worker’s comp audit or invoices. 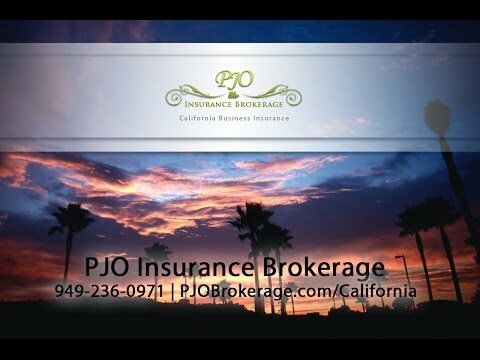 PJO Insurance Brokerage in California has access to several Orange County, CA worker’s comp carriers and has markets for those hard to place companies in the construction industry. If you are looking for someone to work with you on your worker’s comp needs, please call or email us, and let PJO Insurance Brokerage find the right carrier to fit your company’s needs.